May has already come and almost gone. With the sun shining more often (thank goodness), it seems appropriate that May is Skin Cancer Awareness Month. About two million people are diagnosed with skin cancer each year, making it the most common type of cancer in the United States. Losing a brother at the age of 24 of skin cancer, this topic is near and dear. 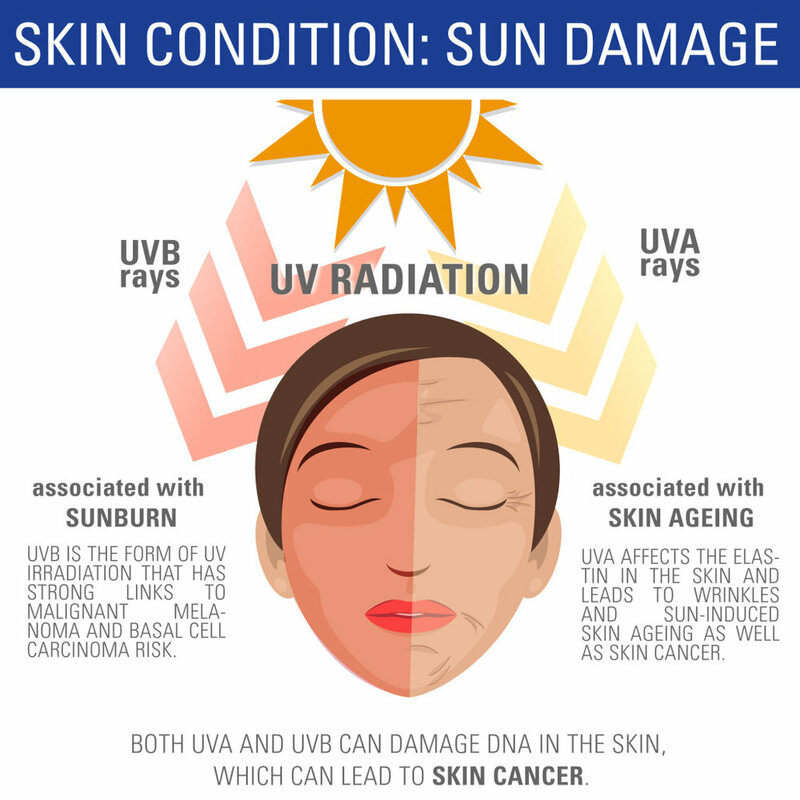 However, it is also often a preventable type of cancer since the main cause is too much exposure to ultraviolet (UV) radiation from the sun. If it’s caught and treated early, skin cancer is very curable. But, all of us, regardless of skin color, should make protecting our skin and staying safe from the sun’s rays a priority and a daily habit. - Each year, over 5.4 million cases of non-melanoma skin cancer are treated. Let’s start with the most obvious solutions: sunscreen. Yes, sunscreen will protect you from sunburn, but can it prevent skin cancer? According to a study from the Queensland University of Technology in Australia, when SPF 30-plus is properly applied, you’ll be protected 100% from all three types of skin cancer (melanoma, squamous cell, and basal cell). You have a cancer-fighting gene called P53 that protects us from all varieties of cancer, and sunscreen protects that gene, as well. Photoaging is the clinical term for the damage the sun does to your skin. Repeated exposure without protection causes your skin to become unable to repair itself. The damage doesn’t start in adolescence or young adulthood, either; it starts from infancy. 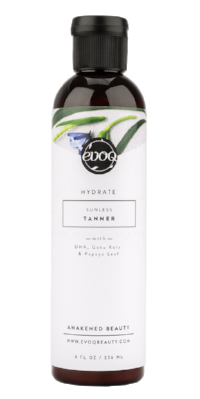 Show off your beautiful, bare legs with Evoq’s Sunless Tanner and protect your skin with our Tinted UV Primer. All of our products are created with organic, wild-craft, and food-grade ingredients. Claim Clear Victory over Adult Acne! First, don't freak out. Don't fret - flareups are not forever. All acne production is hormonally based whether you are 15 or 52. Often acne is a invitation to learn what your body wants and needs and to give it what it is needing. We suggest looking at your beauty products, habits, and health. Once you fix the root cause of acne—your diet and hormones to not washing your face after a workout—your skin will clear itself naturally. 1. Limit stress. And the unhealthy habits that come with it, like excessive drinking, not sleeping enough, smoking and eating unhealthy or overprocessed foods. Limit stress as much as possible by spending time with friends, cuddling, getting outdoors, sleeping, deep breathing, eating clean and drinking plenty of water or green tea. 2. Eat smart. “When your diet is wrong for you, it will do two things,” says women’s hormone expert Alisa Vitti, director of Flo Living. “It causes the overgrowth of bad bacteria in the intestines, which reduces immune response on the skin and increases inflammation. And it disrupts endocrine function such that hormones become more unbalanced and increase hormonal acne. These villains are white flour, dairy, sugar, and animal and processed fats. 4. Wash your face every night and exfoliate. No matter how busy you are. If that seems like too much, your cleanser is over drying. If needed, use agentle cleanser in the morning and a salicylic or glycolic one at night. Use an exfoliating mask a couple times a week: dry skin is dead skin, which is a breeding ground for bacteria. Slough it off. 6. Choose products wisely. Wow - 80 percent of acne issues are resolved with the right regimen—a good cleanser, an exfoliant, a balancing treatment serum, for starters. Many facial oils are great for acne-prone skin, but not synthetic or heavy ones like lanolin or mineral oil. Avoid artificial fragrances, which can increase skin sensitivity. 7. Don’t over-treat. Women over-exfoliate or overuse drying and irritating products like benzyl peroxide products when they aren’t making the internal connection to their skin. If you are on the pill, the affects your body's hormone levels and doesn't solve the issue. Feeling stressed? Then it is no surprise you are battling blemishes. Stress releases the hormone cortisol, which can increase oil production and block pores, thus aggravating your acne. According to experts, up to 50 percent of adult women in the US suffer from acne breakouts. Here are some causes and cures for those adult-onset blemishes. 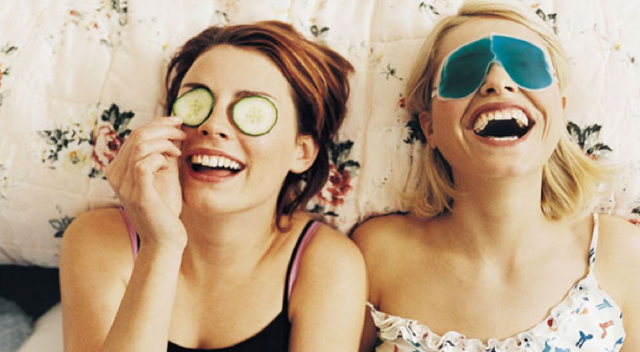 Beat the battle with a consistent skin care ritual with our top skin acne fighting products! Get the perfect sunless tan - Naturally! Honey-Dip Featured + Purchase Now!